The Jeep Mighty FC was completed in April of 2012 This particular one was the most challenging and entertaining concept to design. 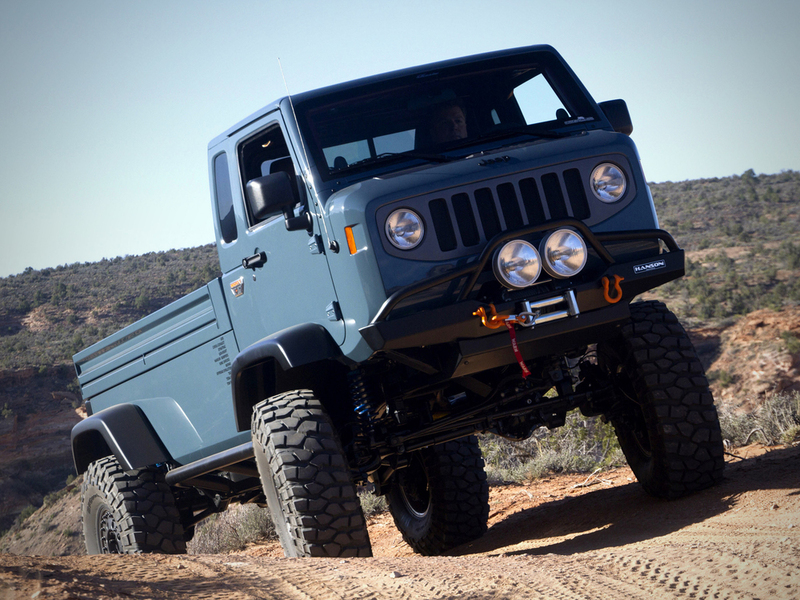 The design sits atop a lengthened and highly modified Jeep JK chassis. 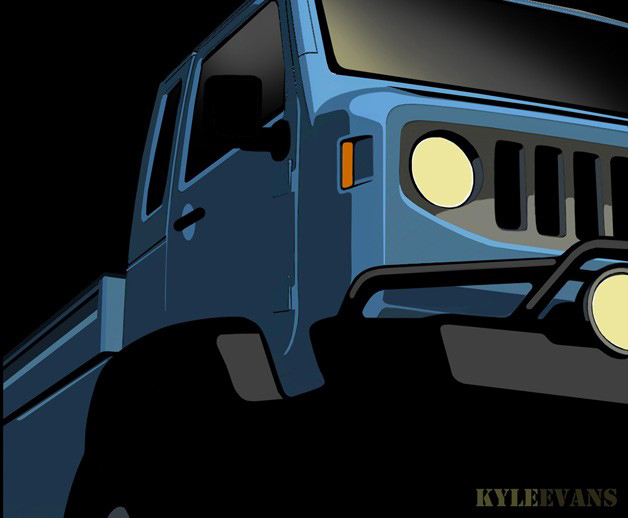 I designed the "nose" and the proportions of the car to give a nod to the original Jeep Forward Control. 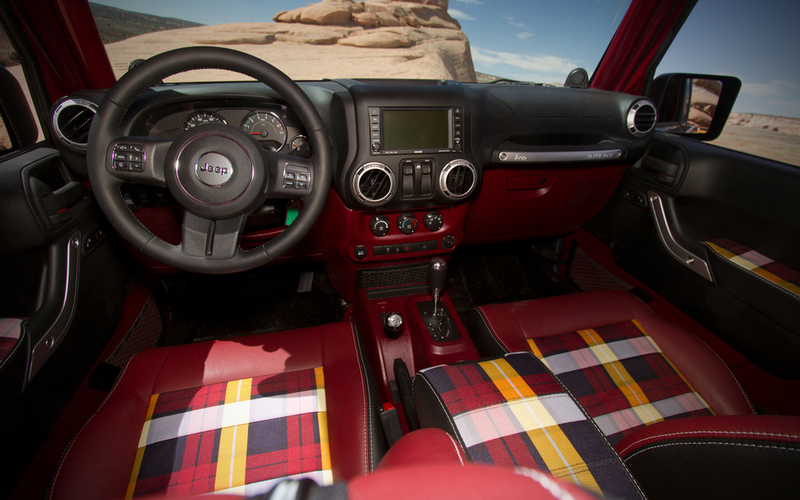 The color combination surprises when you open the door to reveal a dark red interior with a bright plaid pop.